Organizers of the 5th Atlantic Cup presented by 11th Hour Racing have announced North Sails as the Official Sailmaker and sponsor of the Atlantic Cup’s “Ask the Expert.” In addition, for the first time, the event will base its New York City stopover in Brooklyn. From May 31 – June 4, teams will be docked at the newest marina in New York City, ONE°15 Brooklyn Marina. North Sails will provide world class Certified Service for all Atlantic Cup teams, and the company’s team of experts will be on hand throughout the race, providing daily race analysis. In addition, the North Sails Experts will answer questions about tactics, offshore racing, the course, navigation and more. Fans can submit questions online at atlanticcup.org/race#expert. Located in the heart of Brooklyn Bridge Park between Piers 4 and 5, ONE°15 Brooklyn Marina is currently under construction with new docks being anchored and a state-of-the-art wave attenuation system now in place. The facility is scheduled to open May 1. A joint venture between majority owner SUTL Group and Edgewater Resources, the marina offers unparalleled water access to the local Brooklyn community, New Yorkers, and boating enthusiasts from around the globe. 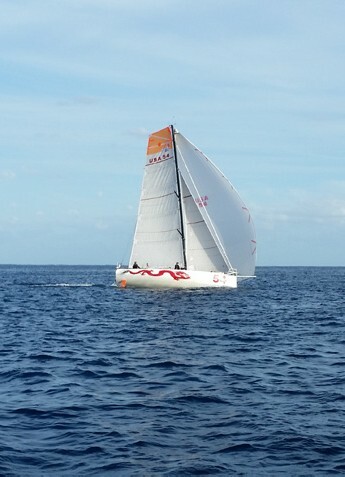 Mike Hennessy’s Dragon won the PHRF division of the inaugural Miami to Havana Race in February and has also competed in every Atlantic Cup competition. 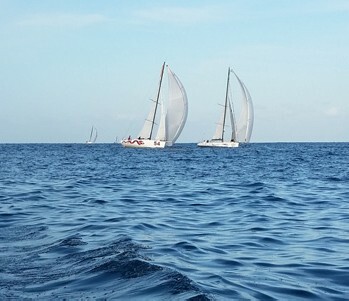 At present, a total of ten Class40 teams are registered for the Atlantic Cup, the longest offshore race in the Western Atlantic. Of these teams, seven have been officially announced. The remaining teams will be announced in the coming weeks. Information about announced teams can be found at atlanticcup.org/teams. This year’s running of the Atlantic Cup starts May 28 in Charleston, SC. Teams of two will race 648nm from Charleston to Brooklyn, NY. After a brief stopover, teams will race a second leg of 350nm to Portland, ME where the race will culminate the weekend of June 11 in Portland with the third a final leg, an inshore series. For more information, a complete schedule and listing of events including Kids Days in Charleston, Brooklyn and Portland, visit atlanticcup.org/in-race-events. The Official Guide to the Atlantic Cup presented by 11th Hour Racing will appear in the May issue of WindCheck.